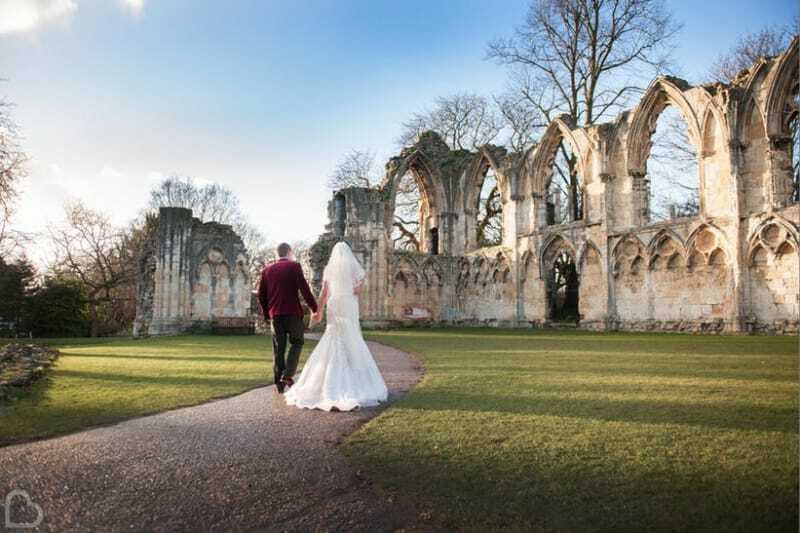 Leeds is one of the leading bustling and vibrant cities in the North, so it’s no wonder why so many people are looking to get married there! Are you looking for a venue with a difference in or around the city? 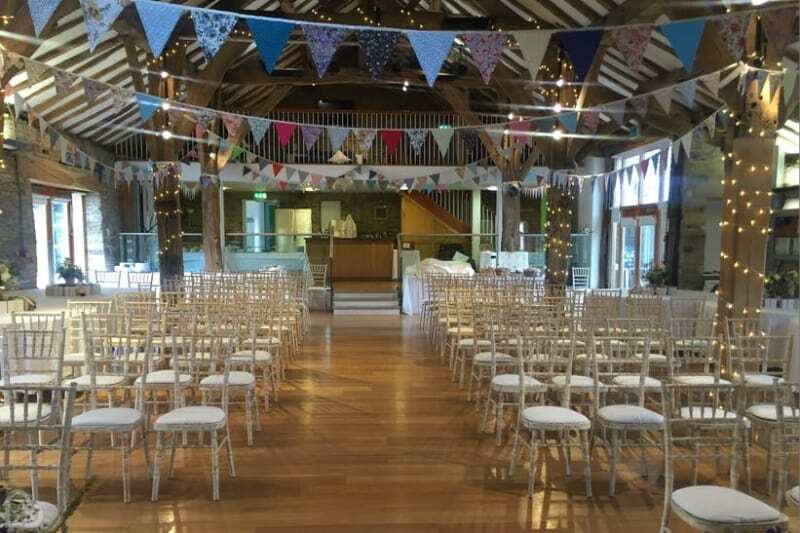 Bridebook.co.uk has found 25 of the best nearby venues that are stunning, heaps of fun, or just plain kooky! Take a look at these incredible places, or hunt for yourself using our Venue Search tool. 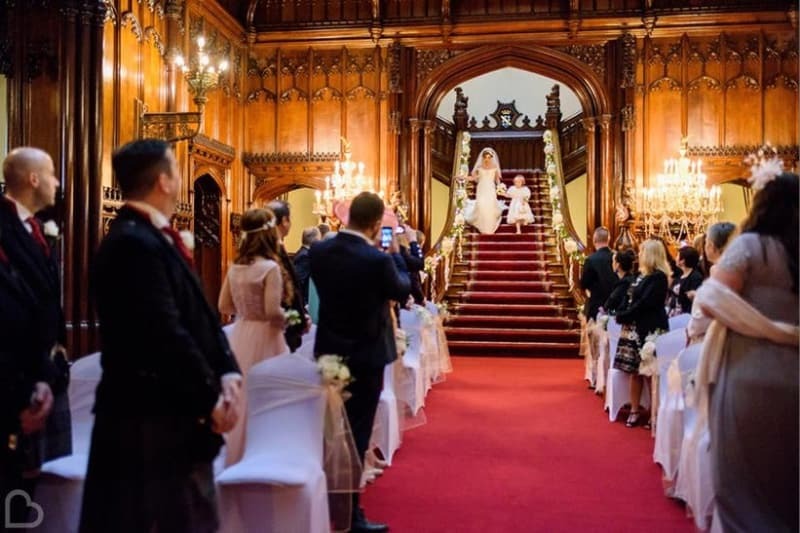 This beautiful gothic revival castle really is a venue to behold! 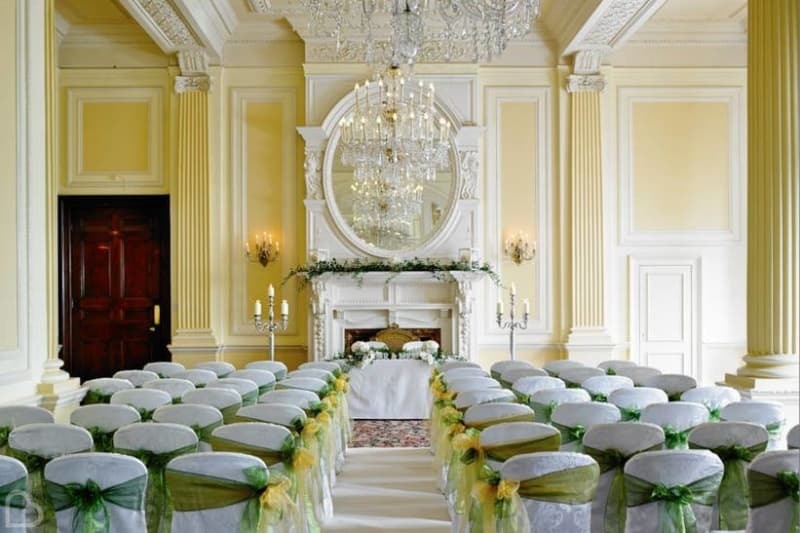 Allerton Castle provides a stunning backdrop for your fairytale wedding day as you walk down the aisle in the Gothic Great Hall. The Engine Shed is an utterly unique venue that really has the wow factor! 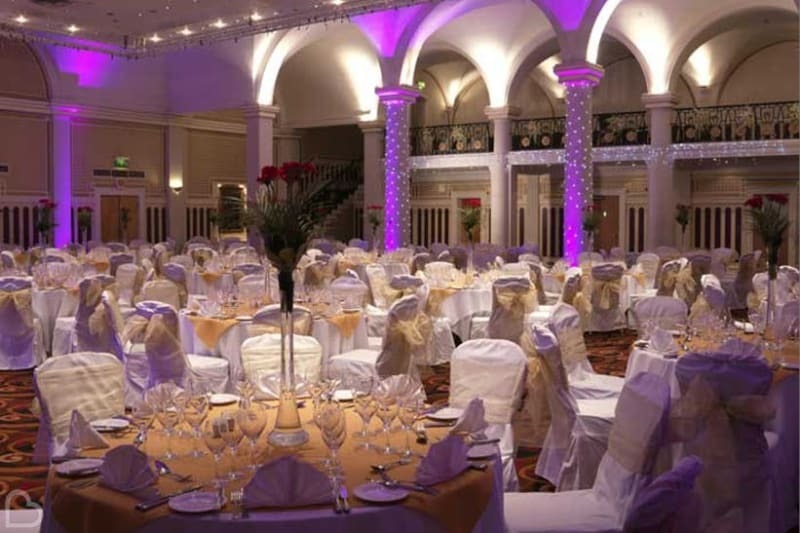 This Grade II listed building is set over two magnificent floors and can become the blank canvas for your special day. 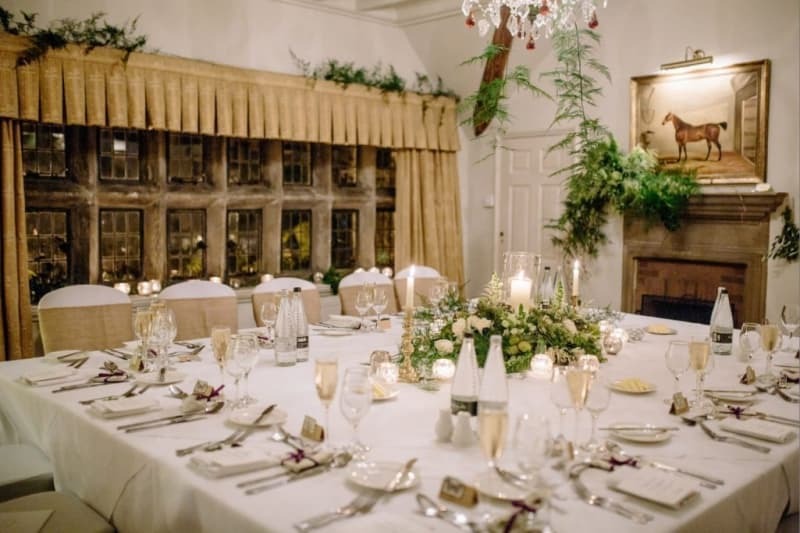 Set in the ruins of the Barden Tower and surrounded by picturesque hills and rivers, The Priest’s House is a stunning venue for your intimate wedding celebrations. Check out the stone interiors! 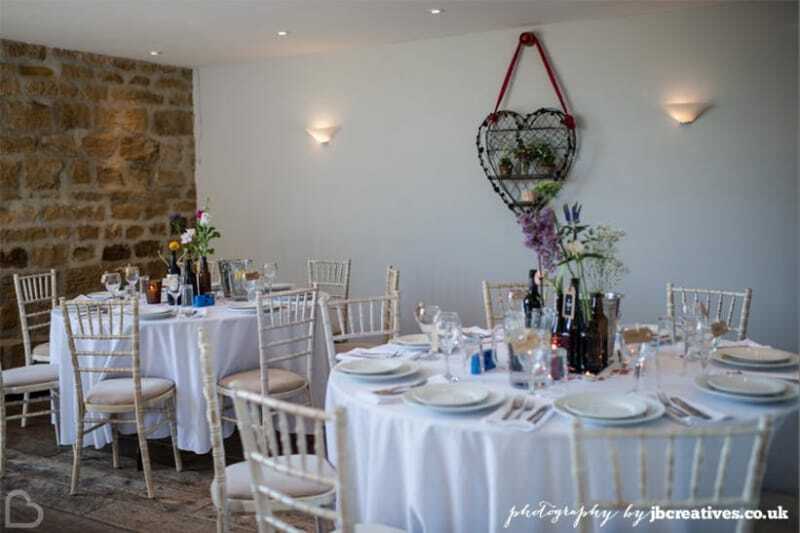 Lineham Farm is a country chic venue in a secluded area with surrounding woodlands to host your idyllic day. The farmhouse dates back to the 17th Century and has retained all the charm and character that you could wish for! 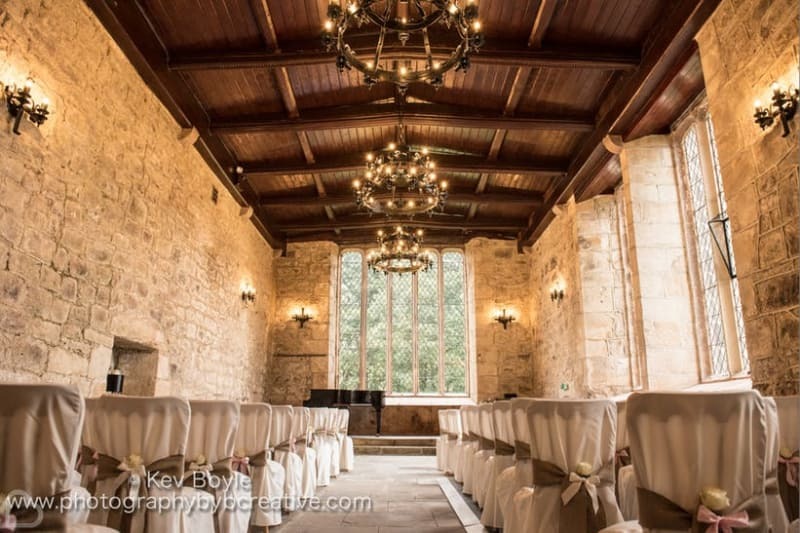 The 14th Century Hospitium is a gorgeous wedding venue with medieval stone walls and plenty of character included! Less than an hour away from the centre of Leeds, this versatile building is overlooked by the ruins of St Mary’s Abbey – a photo opportunity not to be missed! 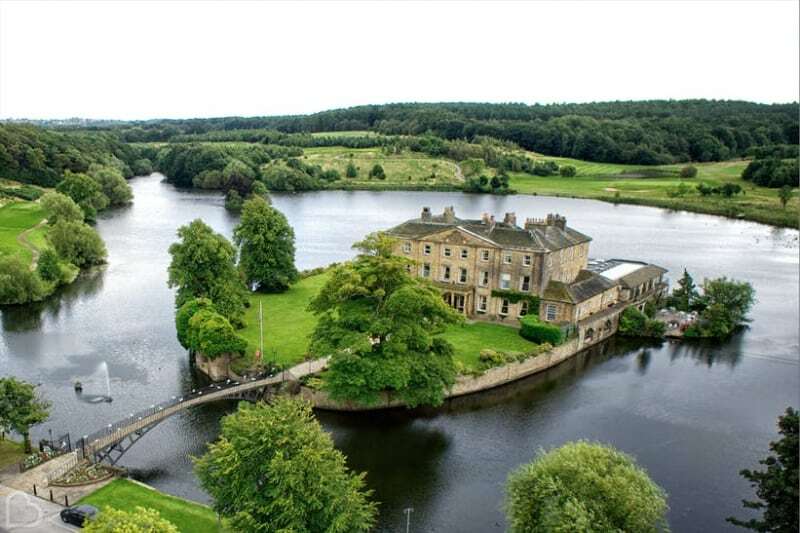 The beautiful Jacobean Manor that is Holdsworth House Hotel dates back to 1633 and is brimming with history. Sunny courtyards, interesting architecture and pretty gardens can be found on site, as this venue comes to life on your very special day! Just a stone’s throw away from Leeds lies Wharfedale Grange, the perfect spot to pitch your wedding tent! With this versatile area of farmland, you can do what you wish and watch your dream day come to fruition. 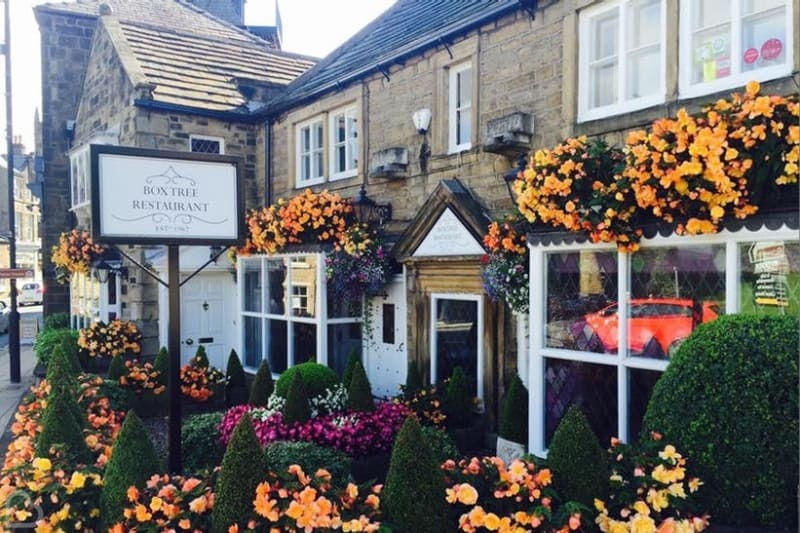 This old Yorkshire stone farmhouse has been lovingly converted to form the intimate Box Tree Restaurant. With tons of character, three Michelin stars, and just a half an hour journey from the city, this unique venue is the perfect place for your wedding breakfast. The Majestic Hotel boasts elegance, grandeur and is definitely majestic to say the least! 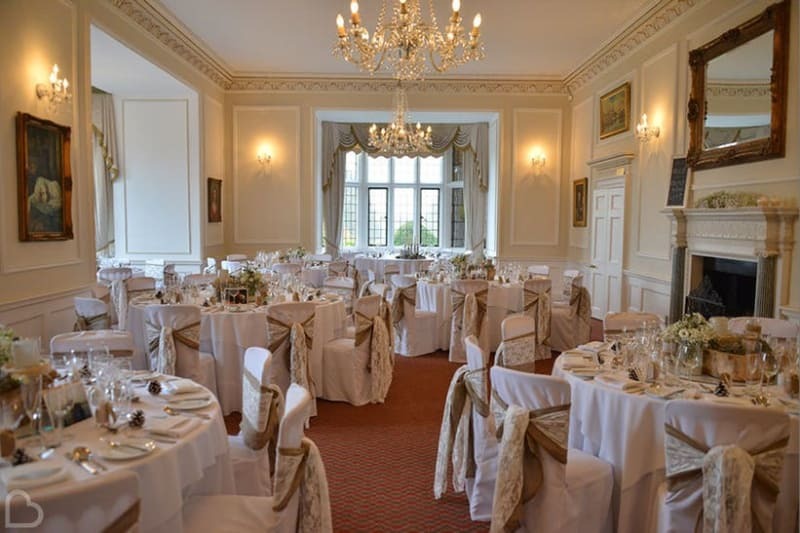 Situated in nearby Harrogate with 8 acres of beautiful gardens, this Victorian hotel is the ideal place to host a very majestic wedding! Skipbridge Country Weddings is a green field venue complete with natural surroundings and even farm animals! 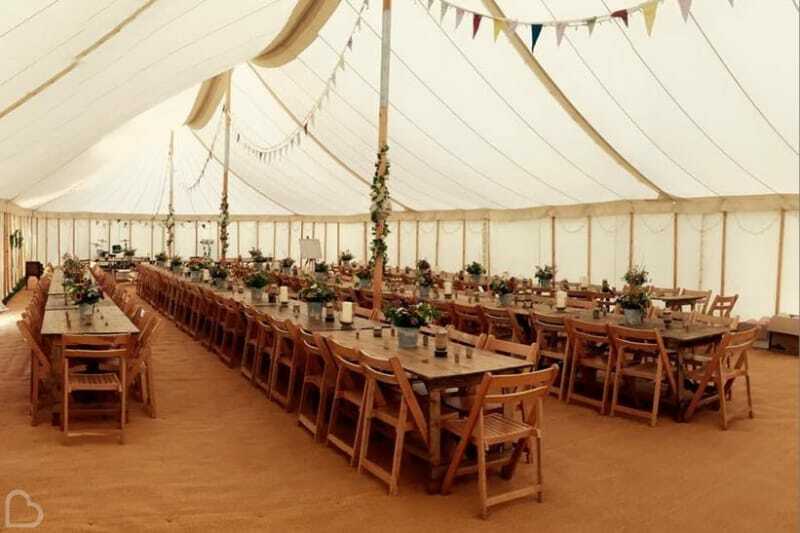 It has homely cottages on site and plenty of space for camping or glamping, so you can truly make your wedding weekend a fab experience for all guests. 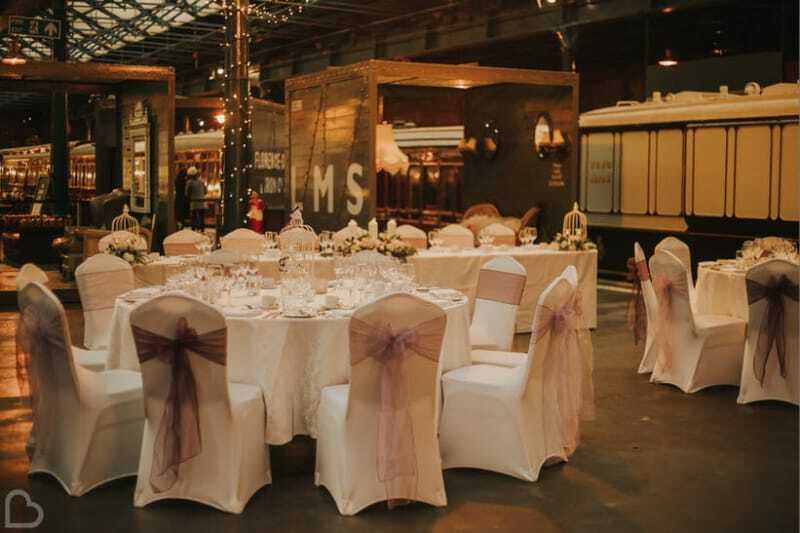 Stun your guests by having your wedding on a train platform at the National Railway Museum! This impressive and spacious venue will pull out all the stops (literally!) to guide you in your journey to married life. 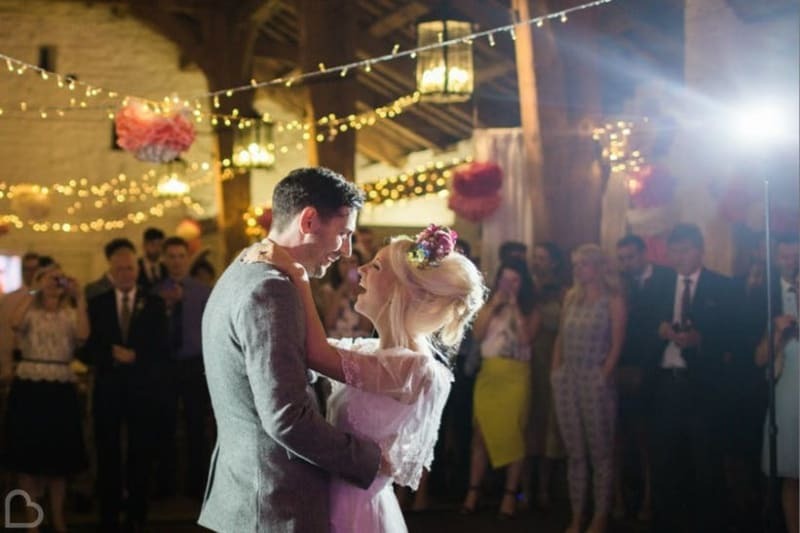 The warm feel of East Riddlesden Hall will comfort you and your partner as you step into the Grade II listed barn. 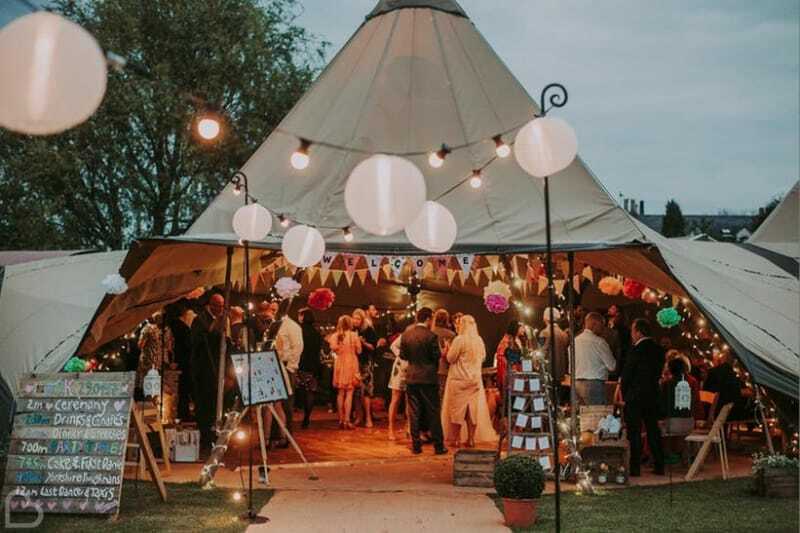 Dance the night away under exposed oak beams and fairy lights less than an hour from the centre of Leeds. 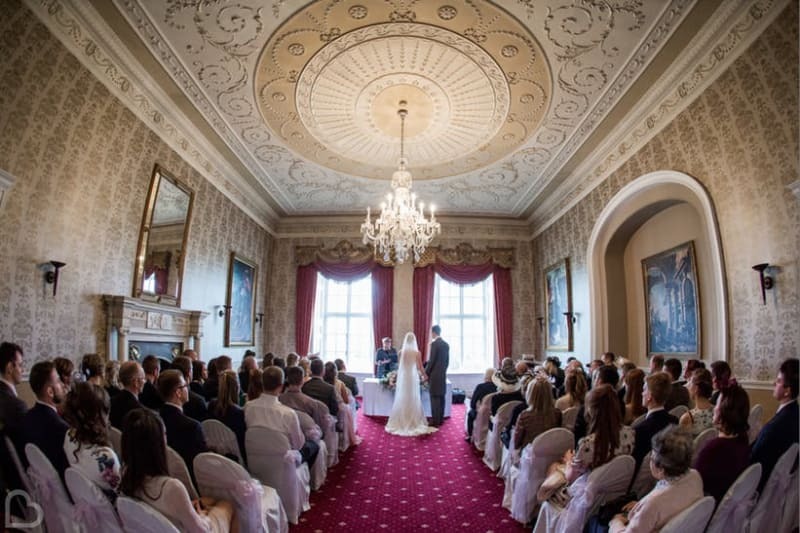 Amongst peaceful woodlands and the beauty of rural Yorkshire, Hazlewood Castle is a venue for a king and queen. Say your vows in the medieval chapel and let this historical setting make your wedding day dreams come true. The unforgettable vibe of The Faversham is the perfect place to celebrate with your nearest and dearest. 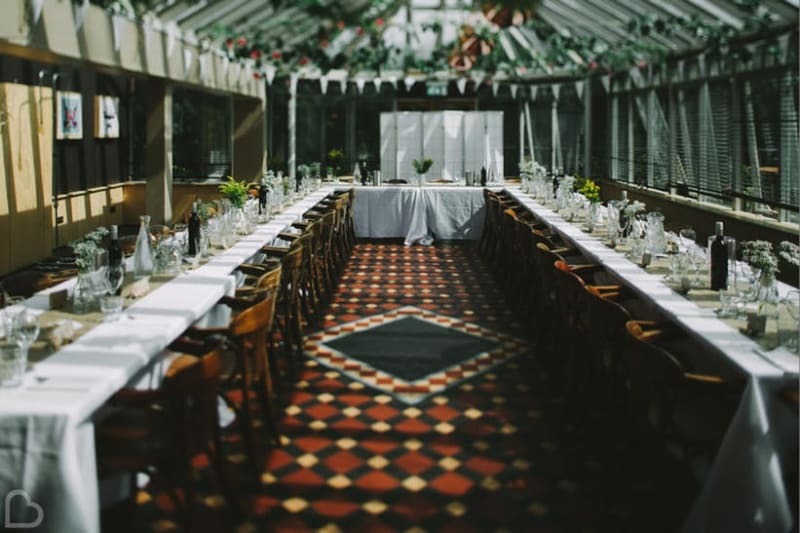 On the edge of Leeds City Centre, this venue offers a bespoke service within unique walls – especially the beautiful conservatory! In the developing industrial area of Leeds sits New Craven Hall, a modern and vibrant wedding venue, perfect for a unique celebration. The New Craven Hall team offers a completely bespoke service, which means you can make all of your wedding day dreams come true. 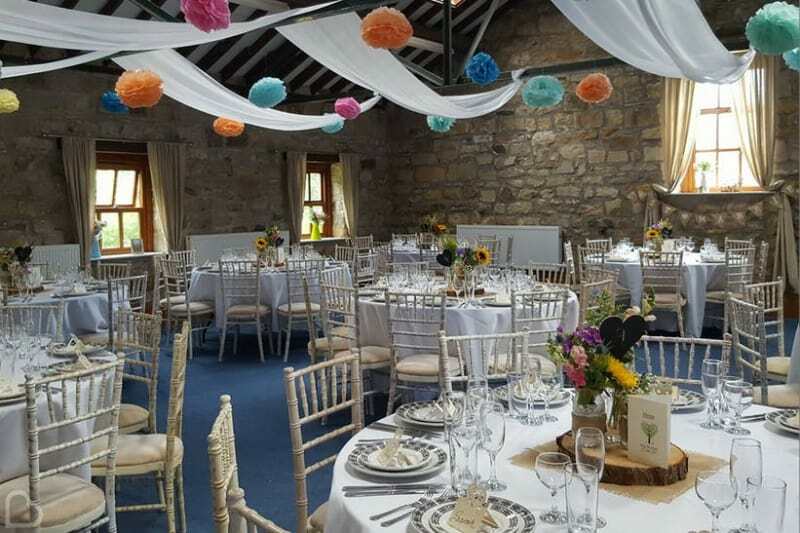 This converted stone barn in rural West Yorkshire has become the beautiful Chilli Barn, an intimate wedding venue. Surrounded by endless meadows and woodland, the decor shows off character features with a modern touch. The stunningly restored barns of Priory Cottages are undoubtedly a very special place to say your ‘I Do’s. Set in the idyllic countryside, this venue has a perfect mix of romance and enchantment to suit every couple that passes through it’s doors. With it’s very own lake in a scenic valley of rolling parkland, Waterton Park Hotel & Spa is the ultimate setting for your special day. Gorgeous accommodation awaits you…but be sure to get a photo on the bridge first! 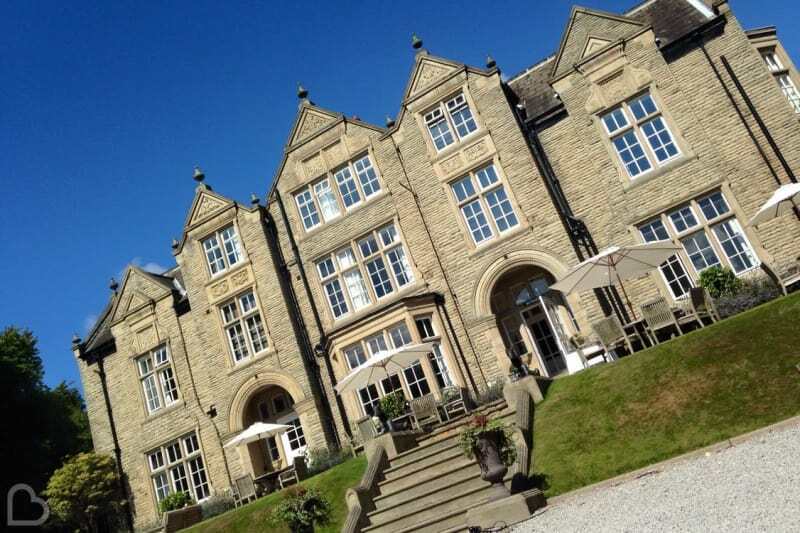 Seeking some luxury just outside of Leeds? Denton Hall offers charming 18th Century decor, crystal chandeliers and spectacular views across Yorkshire – have it as your very own exclusive country house for the entire weekend! 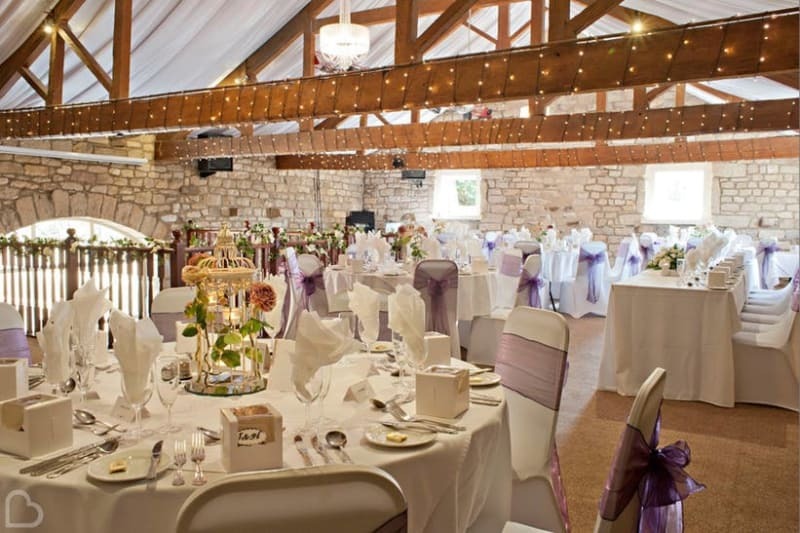 The peaceful grounds of Northorpe Hall Barn warmly welcome you to this alluring venue. 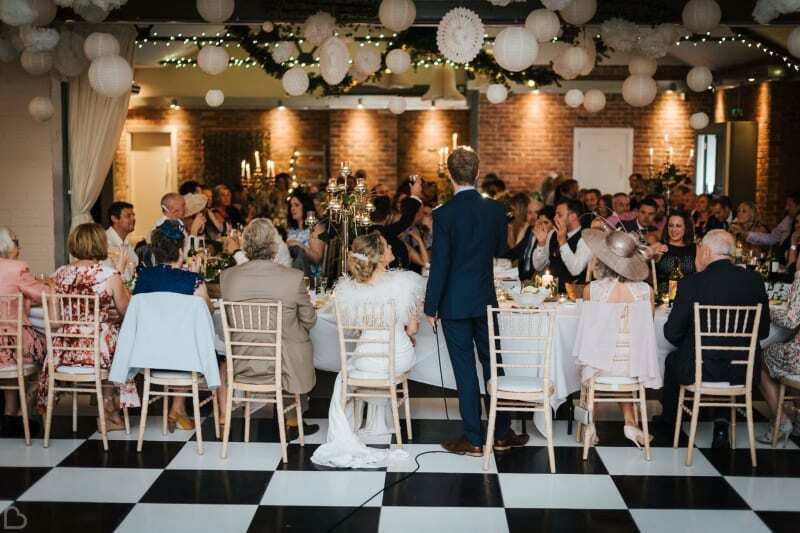 Exposed wooden beams and stone walls enclose you and your guests and you celebrate your special day – and the best bit is that any profits from your day helps fund local projects for young people in need. Just 30 minutes away from Leeds, Heaton Mount lies between a winding driveway and immaculate lawns. Dating back to 1864, this Italianate mansion boasts exquisite decor and breath-taking views for you and your guests. The fairytale setting of The Sun Pavilion was built in the 1930’s but has recently been restored to become an utterly unique venue. It hosts an Art Deco glass dome and is home to stunning views over Harrogate’s Valley Gardens, to really bring the natural beauty indoors! 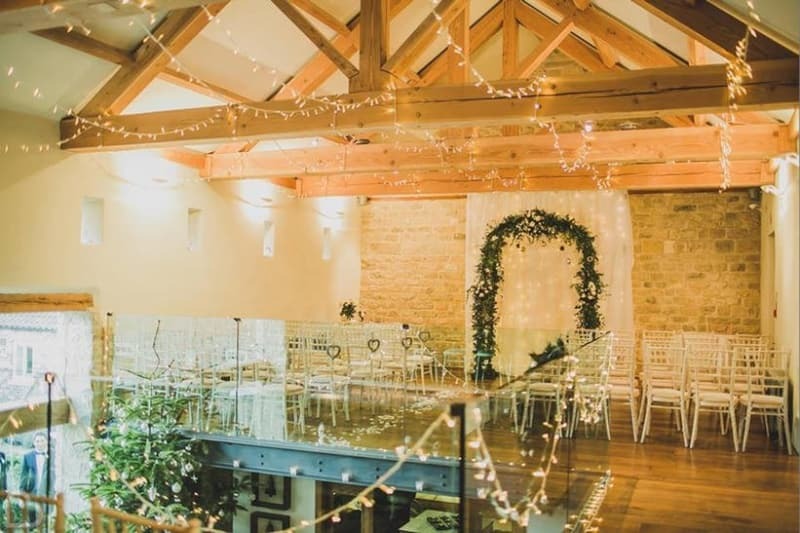 This 200-year-old barn, situated just 10 miles down the road from central Leeds, could be the ultimate romantic backdrop for your big day. The Old Barn at Esholt sits in a quaint location with plenty of character features to feast your eyes upon! This spectacular country mansion with 11 acres of stunning ground has become Goldsborough Hall. 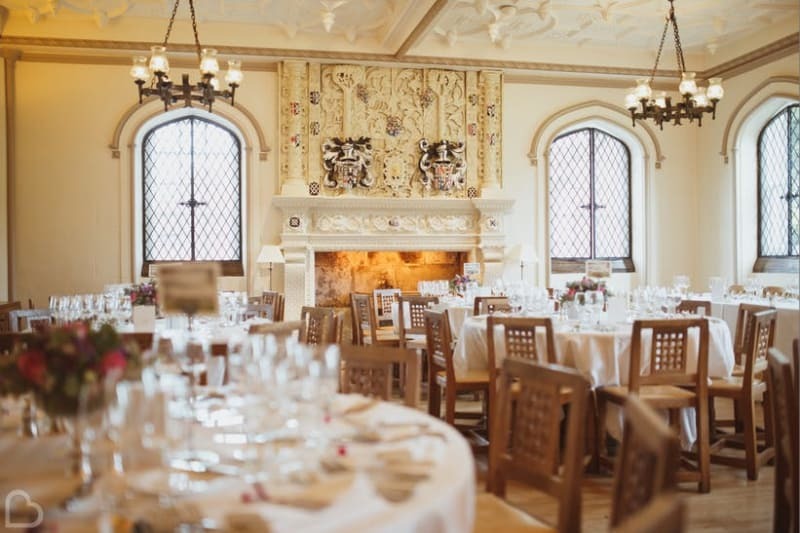 The oak-panelled Jacobean library and beautifully designed drawing rooms are the ideal places to host your wedding celebrations. The Queens venue offers a stylish backdrop overflowing with glamour for a totally classy wedding day. 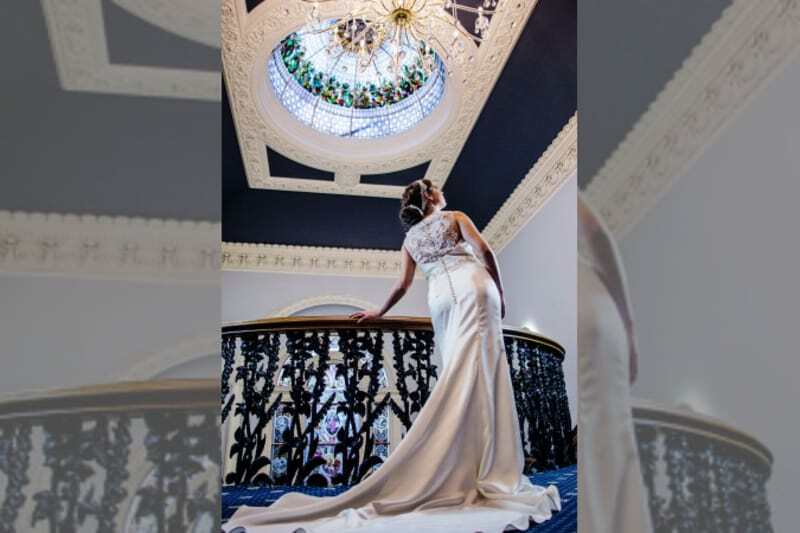 Right in the centre of Leeds, you will have spectacular views across the city from the terraced balcony of this beautiful building, as well as a bespoke service that will serve the largest or most intimate of wedding parties. 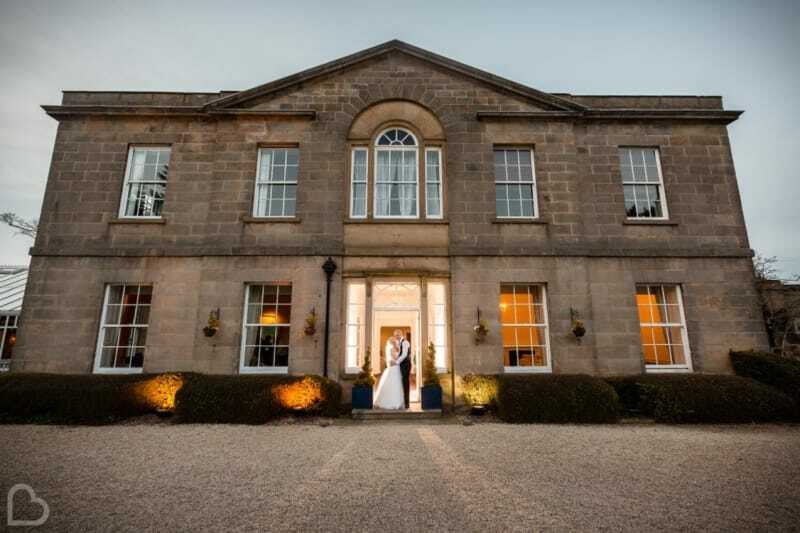 Cookridge Hall is the perfect backdrop for your big day. Located in North Leeds this beautiful grade II listed old hall was built in 1721 and set amongst an 18 hole golf course. If you are looking for a scenic wedding venue, look no further! 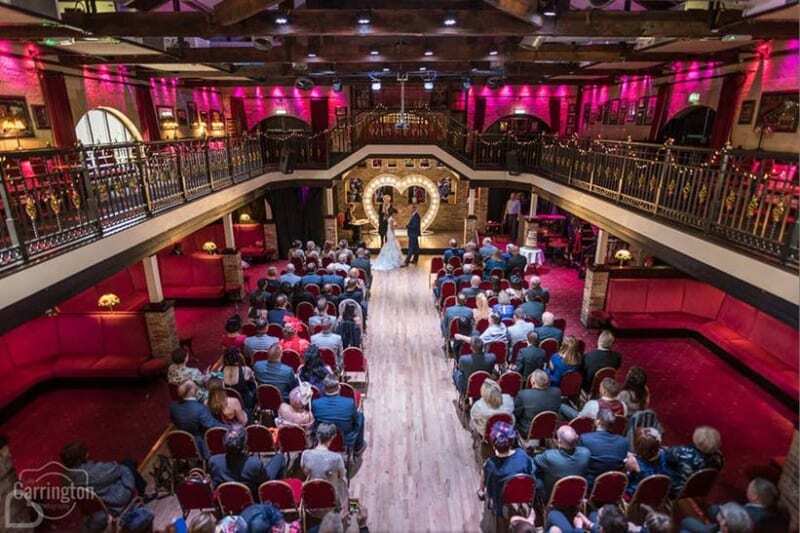 Have your special day at this stylish and incredibly romantic wedding venue in Leeds. 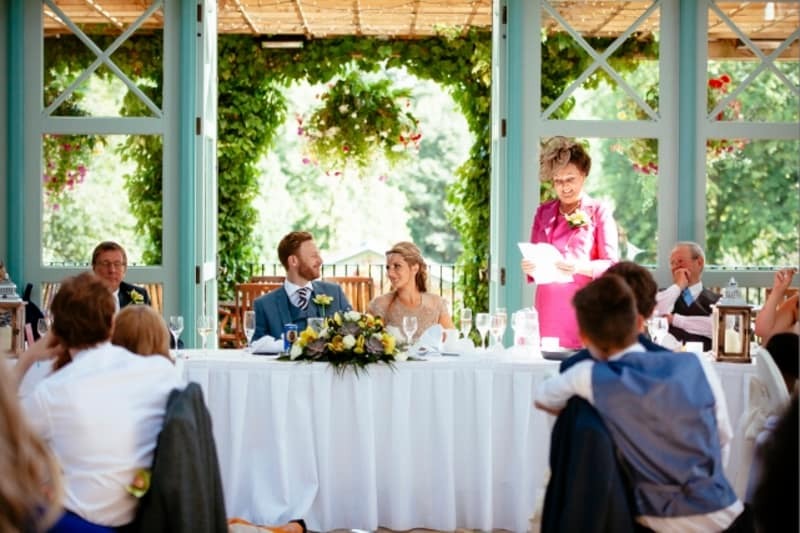 Woodlands weddings are designed just for you in one of the best wedding venues in Leeds! If you’re still unsure about which wedding venue to choose or you’re looking elsewhere in the UK, Bridebook is here! Use Bridebook.co.uk’s Venue Search and type in your preferred location, and we’re sure you will find ‘the one’! Bridebook.co.uk doesn’t only help you find that perfect venue – it can also make the planning process much easier by assisting you with your entire wedding planning process. Fill in your guest list, budget and use our wedding checklist to make sure you don’t forget a single detail of your special day.